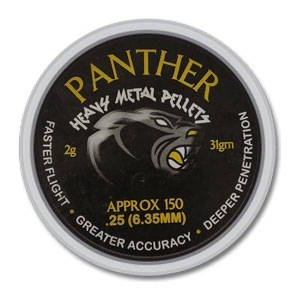 AirForceOne Panther Heavy Metal .25 Pellets x 150. Panther pellets are clean, consistent & ballistically efficient to achieve faster flight, greater accuracy and deeper penetration. The pellets weigh in at 31 grains.